I’ve been on somewhat of an organizing binge lately, mostly as a byproduct of my decorating binge. As part of my quest to create order out of the chaos that too often envelopes (haha, a pun!) my life, I’ve been tackling some of my sources of frustration. One of them is what to do with mail that needs to be passed on to our kids who are out of the nest but still local and dropping by. I needed a safe, non-cluttery place to put their mail until the next visit. My solution was simple. 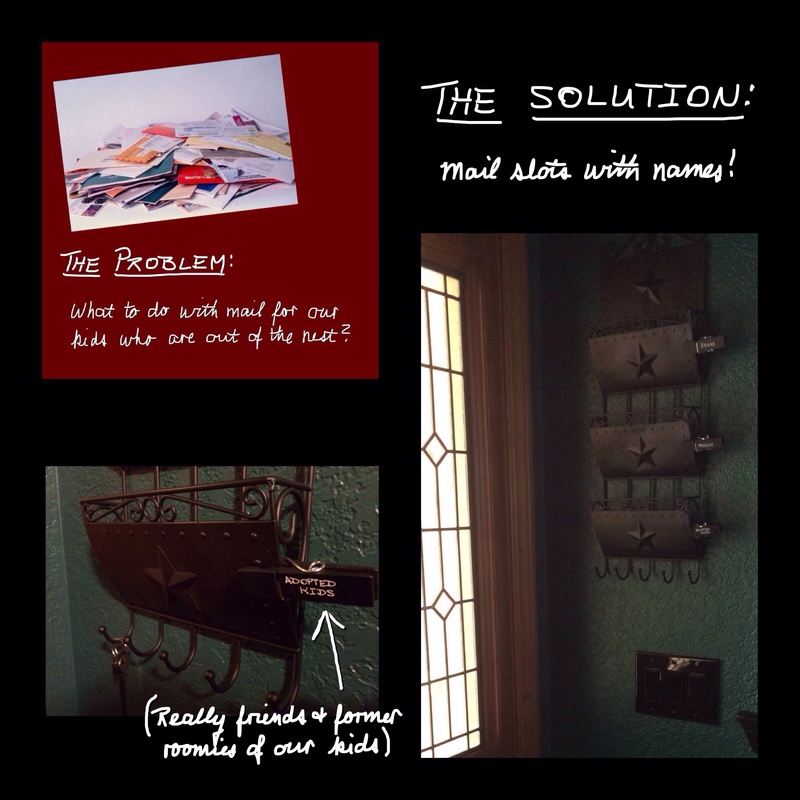 I ordered an inexpensive mail organizer from Amazon that fits with our new decor, and we mounted it to the wall by the front door. I found some black clothespins and lettered them in white. The “adopted kids” part is my bit of humor about two young men, friends of our sons, who stayed with us for awhile. I like how the organizer looks against the newly painted wall. An easy, decorative fix!